Make purchases anywhere Visa is accepted1. In person, online, or over the phone! Look for the Visa or Interlink logos. Get cash and make other transactions at ATMs. Purchases and withdrawals will be deducted directly from your CharterWest checking account. No matter where or how you use your card, a detailed description of every transaction you make will appear on your regular monthly checking account statement. Present your Visa Check Card to the merchant OR swipe or insert your chip card into a PIN pad or terminal. To complete the transaction you will need to enter your PIN (personal identification number) or sign your name. Some transactions may require neither, generally for purchases below $25 (or below $50 at grocery stores). CharterWest began issuing EMV chip cards in September 2017. These cards are embedded with a microchip to help protect your card against card-present fraudulent transactions. To learn more click here. When you sign for your purchases you get Visa’s added security protections that help prevent, detect, and resolve fraud2. You will also receive added security protection for online, phone, and mail orders, and for transactions up to $50 that do not require your signature. To sign for your card transaction choose Credit at the PIN pad or terminal or instruct the merchant to run the transaction as a credit. If the option to choose Credit or Debit at the PIN pad or terminal is not given select Cancel and/or inform the merchant you want to sign for your purchase. When choosing Credit your Visa Check Card works as a debit card, it is not a credit card. To enter your PIN choose Debit at the PIN pad or terminal. When using your Visa Check to place an order online, by phone, or by mail you may be asked to provide your name as it appears on the card, the mailing address associated with the card, the card number, expiration date, and/or the CVV code from the back of your card3. You can receive cash back with your Visa Check Card at participating merchant locations. To receive cash back as a part of your purchase, choose Debit, enter your PIN and select the amount of cash you would like back. Use your Visa Check Card to withdraw cash from any ATM that displays the Accel, Plus, or VISA logos (withdrawal and surcharge fees may apply). You can use your CharterWest VISA Check Card free at all CharterWest ATMs. Call or ask for the location nearest you. You will receive 4 FREE non-CharterWest ATM transactions per statement cycle (you are still responsible for any ATM surcharges). Insert the card, enter your PIN and walk away with the cash you need. You may also check your balance, conduct transfers, and make deposits at participating ATMs (fees may apply). If the CharterWest Visa Check Card sounds like something that could simplify your life, visit the CharterWest Bank facility nearest you to apply! Visa Check Cards are available to qualified CharterWest Bank customers with good credit history. There is no cost to obtain a Visa Check Card. A small fee may be charged for replacement cards. Visa Check Cards take about 5 – 7 days to receive after an application is approved and the card is ordered. Visa Check Cards require activation before use. To activate your card call 1-800-992-3808. To setup or change your PIN, call 1-800-992-3808 or visit a CharterWest ATM. CharterWest Bank will establish daily cash withdrawal and spending limits for your Visa Check Card. These limits are meant to protect you in case your card is lost or stolen. Transactions may be declined if you exceed your daily limits. Keep track of your card transactions and regularly review your account for accuracy and suspicious activity. Notify CharterWest Bank immediately if you suspect fraudulent activity on your account. Since card transactions are deducted directly from your checking account you can potentially overdraw your account. You may choose to Opt-In to our standard overdraft practice and authorize CharterWest Bank to pay overdrafts on everyday debit card and ATM transactions. Your card is protected 24/7 by fraud detection services. To report a lost or stolen VISA Check Card or any suspected fraud. 1CharterWest reserves the right to restrict use of your VISA Check Card by geographic locations. For information regarding currently blocked geographic locations please contact us at 800-872-5147. 2Visa’s Zero Liability policy does not apply to certain commercial card and anonymous prepaid card transactions or transactions not processed by Visa. 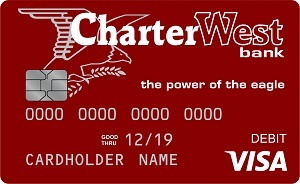 Cardholders must use care in protecting their card and notify CharterWest Bank immediately of any unauthorized use. 3Never give out your card or personal information over the phone, through the mail, or over the internet unless you initiated the contact or know the person you are dealing with. For more helpful tips visit the fraud detection webpage.